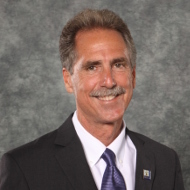 Al Zelinka is the City Manager of Riverside, the City of Arts & Innovation. Al’s professional goal is to make a difference in communities, and this aspiration drives his work on behalf of Riverside’s elected leaders, residents, businesses, and staff. 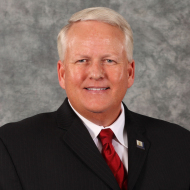 His public service roles during the past decade include: Assistant City Manager, and Community Development Director for the City of Riverside; and Community Development Director and Planning Manager for the City of Fullerton. Prior to his municipal service career, Al was Vice President with RBF Consulting and Principal of RBF Consulting's URBAN DESIGN STUDIO. He has practiced city planning and delivered presentations or training in more than 28 states and the District of Columbia, directed more than 150 projects, and played an active role in another 100. He is the co-author of two books, SafeScape and Placemaking on a Budget, and is Past President of the California Planning Roundtable, a 35-year organization dedicated to advancing the practice and profession of planning and to providing leadership for a better California. 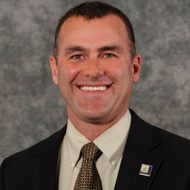 Al graduated with a Bachelor of Science in Public Planning from Northern Arizona University in 1989 and a Master of Regional Planning from Cornell University in 1991. As Riverside’s City Manager, Al believes that the community and region’s best days are ahead and, anything can be achieved through positive mindsets and commitments to healthy partnerships. Appointed as City Clerk in August of 1996, Colleen J. Nicol brings over thirty years of experience in the municipal clerk profession to Riverside, a diverse southern California full-service city of 312,000 residents and 112,000 registered voters. Nicol embraces integration of new technology and open government initiatives. Nicol championed EngageRiverside.com, the City’s transparency portal. Nicol oversees the City’s Public Records Advocate and upcoming on-line tool for public records requests. In addition to providing legislative support to the Mayor and City Council, Nicol conducts all municipal elections, oversees the Citywide records retention program, administers board and commission recruitment, and operates a Passport Acceptance Facility. Nicol served on the City Clerks Association of California Board of Directors continuously from 1992 to 2007 and as its President in 2000-01. She trains at California’sTechnical Training for Clerks, mentors municipal clerks regarding IIMC certification, and is the former Chair of Continuing Education for Public Officials. Nicol is a Past President of the International Institute of Municipal Clerks, served seven years on its Board of Directors, and currently is Vice-Chair of its Program Review and Certification Committee. In May 2015 Nicol was named President of the Municipal Clerks Education Foundation. Nicol received the Quill Award in May of 2002 and was named the City Clerks Association of California City Clerk of the Year in 2006. She holds a Master’s degree in Public Administration and a Bachelor’s degree in Mathematics. 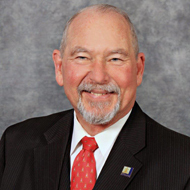 Gary G. Geuss was appointed the Riverside City Attorney in March, 2015. Under general policy direction of the City Council, he is the City’s chief legal advisor and the manager of the City Attorney’s Office. He received his undergraduate degree in Political Science from California State University of Northridge and his Juris Doctorate for Southwestern University School of Law. Gary started his legal career at Lynberg & Watkins practicing insurance and municipal defense work. He later moved to the Los Angeles City Attorney’s office as a deputy city attorney as a prosecutor for five years before transitioning back to the defense of the City of Los Angeles. Gary was promoted to Civil Litigation Manager supervising the police litigation, general litigation and employment litigation sections. After four years, he was promoted to Branch Chief of the Civil Management Branch. 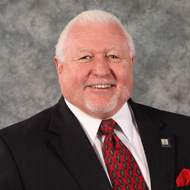 In 2013, Gary was asked to serve as Branch Chief in charge of the LA Proprietary departments, The Department of Water and Power, LA International Airport and the Port of LA. Lea Deesing is currently serving as the City of Riverside’s Assistant City Manager. Previously, she served as the City’s Chief Innovation Officer (CIO) for the City of Riverside for five years, during which time her sixty-person technology team received national recognition for work in government transparency, cybersecurity, project management, mobile applications, smart city initiatives, workforce development, and more. In 2017, Riverside received a 5th place ranking in the “Digital Cities Award”, it received a “Best of California Award” from the Center for Digital Government, a “Strategic Leadership and Governance” award for its cybersecurity initiatives from the International City Management Association (ICMA), and many other technology-related rankings, designations, and awards. As CIO, Lea served on a number of professional organizations and advisory boards and was well-known in the industry for her articles and speeches on government transparency, social media, career advice, and Smart City technology use within government. For five years, Lea also served as the Executive Director of SmartRiverside, a 501c3 nonprofit aimed at narrowing the digital divide through education and technology. Lea has worked in local government since 1997. Her goal in public service has been to make a positive difference by helping government agencies become more efficient and effective through digital transformation and innovative thinking. Prior to the City of Riverside, she served as an Associate Vice Chancellor for the Riverside Community College District, as a director for the City of San Bernardino, and in various management positions at the cities of Fontana and Moreno Valley. Before entering public service, Lea worked for more than a decade in the private sector, including eight years at the software firm Esri in Redlands. Lea holds a Master of Public Administration degree from California State University, Dominguez Hills, a Bachelor of Science in Information Systems degree from the University of Redlands, and an Associate in Science degree from Crafton Hills College. She was recognized as the “Outstanding Alumna” in 2016 by Crafton Hills College. Rafael Guzman, who has 18 years of planning, community development and municipal government experience, most recently as, Director of the Community & Economic Development Department for the City of Riverside, has been named Assistant City Manager. He started on June 11 in his new role. Guzman will oversee several departments that have a direct impact on the quality of life for Riverside residents and business owners, including the Community & Economic Development, Parks, Recreation and Community Services and Public Works. In addition, two internal serving Departments, General Services and Human Resources, will report to Guzman. While Director of Community & Economic Development, Guzman led a multi-departmental customer service initiative called Streamline Riverside. In collaboration with all development service departments and key stakeholders in the community including the Greater Riverside Chambers of Commerce, Design Professionals and Developers, Streamline Riverside focused on creating greater transparency, eliminating barriers to development review and facilitating investment. Streamline Riverside has been honored eight times for best practices by local, regional and state-wide entities like California Association of Local Economic Development, California America Planning Association and the Inland Empire Economic Partnership. City representatives throughout the region, state and country have toured the One Stop Shop and studied Streamline Riverside to better understand how it was engineered, implemented and is continuously improved. Core elements of Streamline that draw the most attention include the One Shop, Expedited Plan Check Review, Uniform Plan Check Review, Online Business License processing, and data analytics measuring wait times, customer satisfaction and service times. Under Guzman’s leadership, the City received awards in the areas of Best Practices, Climate Action, Historic Preservation, Planning, Economic Development, Adaptive Reuse of Buildings, Affordable Veteran’s Housing, Local Food Systems Management, Sustainability and Health & Nutrition. Guzman previously worked in Bellflower for 10 years, starting as Assistant Director of Community Development and working the final three years as Planning Director. He also served as Bellflower’s Acting Assistant City Manager for five months. Guzman received his Bachelor of Arts in Environmental Analysis and Design from the University of California, Irvine. He earned his Master of Science in Environmental Policy from the State University of New York College of Environmental Science in Syracuse. Moises A. Lopez serves as Deputy City Manager for the City of Riverside, where he is responsible for overseeing the General Services Department, the Office of Homeless Solutions, as well as implementing the City’s advocacy efforts at the local, regional, state and federal level. Moises has over 13 years of experience in the public sector having worked previously in the Community and Economic Development Department and City Manager’s Office. He has a Bachelor’s degree in Political Science from the University of California, Riverside and a Masters of Public Administration from the University of Southern California. Carlie Myers serves as Deputy City Manager for the City of Riverside, where she is responsible for overseeing the CalPERS Challenge Team, the Ward Action Teams, and the Community Police Review Commission Division. Carlie has over 19 years of experience in the public sector having worked previously in the City Manager’s Office, the Community and Economic Development Department and the Fire Department. She has a Bachelor’s degree in Business Administration from the University of Phoenix. Chief Sergio Diaz is an accomplished criminal justice leader who has transformedhis professional philosophy of respect for all persons into a working practice of collaboration to achieve community safety, development of the leaders of the nd implementing practical solutions to reduce crime and fear - always working to increase value to the quality of liffutureae. One of the country's most respected criminal justice leaders, he is known for his responsive, purposeful, and innovative approach to contemporary policing issues.Diaz accepted his current assignment as Chief of Police for Riverside California Police Department in July 2010, after spending over thirty years with the Los Angeles Police Department in various positions. His rise through the ranks of the LAPD provided him with practical experience in all aspects of municipal law enforcement and a profound resolve to preserve the rights of people to live and work in safe environment. As the Department's highest ranking bi-lingual officer, Diaz reached out to community and civic leaders, businesses, and the media to forge relationships that heighten awareness and develop realistic solutions to reduce and prevent crime. His vision in leveraging technology to increase efficiencies in crime prevention led to his securing grant funds for video cameras to support police efforts in high crime areas, re-appropriating budgets to acquire a new generation of less-lethal weapons, and negotiating replacement equipment to maintain the safety of police forces throughout the country. From humble beginnings as a refugee immigrant, Chief Diaz has a realistic understanding of the value of community support systems and the outcomes that can be achieved by seizing opportunity in the midst of crisis. His insight into leadership, mentoring, and education has made him a sought-after speaker at commencement exercises, leadership forums, and criminal justice programs. Chief Diaz and his family reside in Southern California. George holds a Master’s degree in Information Security Engineering from the SANS Technology Institute. His professional experience spans over 20 years leading enterprise networks, servers, storage, and security infrastructure. George has been leading enterprise security architecture, compliance, auditing and policy development for government agencies, critical infrastructure, and law enforcement sectors. Before public service, He also worked for several Fortune 500’s, and Fortune 1000’s such as EarthLink Networks, SeeBeyond Technologies, and Sun Microsystems. Under George’s leadership, The City of Riverside’s won the 2017 program excellence award by the International City / County management association for its next-generation municipal cybersecurity program. In addition to his experience, George is also a certified intrusion analyst, incident handler, network, and systems auditor, Forensic Analyst, Project Manager and Certified Security Expert. He also published several peer-reviewed papers on the topics of iOS messaging security, secure network engineering, password security, project management, High throughput Intrusion Analysis and Forensic network design. George’s data loss prevention article was featured on the cover of the July 2017 edition of western cities magazine and republished by PublicCEO.com. George presented at SANS Network Security Conferences, Southern California Mayor’s conference, City Clerk’s Association of California, Inland Empire security summit, Cyber Security for Critical Infrastructure, Riverside chamber of commerce and is a member of the GIAC Advisory Board. Stephanie Holloman is Human Resources Director for the City of Riverside. She oversees the department in all functional areas such as recruitment and selection; employee and labor relations; classification and compensation; benefits and wellness; safety and training; and workers’ compensation. Before joining the City of Riverside in 2017, she spent 12 years in key positions at the City of Los Angeles. Stephanie spent nine years with the Port of Los Angeles, the #1 Port in America, where she established a training and career development program that improved safety and morale by providing more than 12,000 hours of training for employees and created a Port Fellowship program for Master’s degree students interested in government careers. Stephanie also served as a senior policy analyst for then-Mayor Antonio Villaraigosa in the budget and performance management unit. Stephanie graduated from UCLA with a degree in political science and was recognized with the Dean’s Award for Commitment to Community Service. She earned her J.D. from Loyola Law School in Los Angeles and worked as operations director for a Los Angeles firm that built affordable housing for low-income families before becoming a legal intern at the Public Counsel Law Center in Los Angeles, overseeing a program that protected the rights of foster children. As the Human Resources Director, Stephanie hopes to champion career pathway programs, mentorship and internship programs, workforce development and strategic partnerships with Universities, Colleges and Trade Schools. She plans to use her experience to lead an organization that focuses on ensuring that the City of Riverside has a vibrant, highly skilled, and diverse workforce. Michael Moore was sworn in as the 21st Fire Chief for the City of Riverside Fire Department on August 26, 2014. He was born in raised in the City of Long Beach and attended elementary and Jr. High School there. He graduated from near-by Bellflower High School in 1979. Coming to the City with over 32 years of experience, he started his career in the fire service with the Orange County Fire Department in 1982 as a Firefighter, and worked his way up the ranks to Division Chief (local Fire Chief). While with OCFA, he served as a Battalion Chief and headed their Operations Training and Safety Section for five years and was the Training Section lead on the design team for the new Regional Fire Operations and Training Center facility. He also worked in the department’s busiest operation battalion for nearly four years and served as a Task Force Leader on the department’s Urban Search and Rescue Team (California Task Force 5). In 2008 he was promoted to Division Chief where he served as the local Fire Chief for four cities: Yorba Linda, Tustin, Placentia and Villa Park. In 2001 he became the Division Chief (local Fire Chief) for the City of Irvine. Chief Moore is a graduate of California State University Long Beach with Masters Degree in Public Administration, Redlands University with a Bachelors in Management, Long Beach City College with an Associates Degree in Fire Science and Santa Ana College with an Associates Degree in Paramedical Sciences. He is a California State Certified Instructor and Fire Officer. Chief Moore graduated from the National Fire Academy in Emmittsburg, Maryland completing the four-year Executive Fire Officer Program. He is active in his fraternity - Sigma Pi Fi and Rotary International. As our Fire Chief, he brings an extensive background in various aspects of the fire service and is committed to staying active in specialize training opportunities, strategic planning, accreditation and preparing our city for future challenges. His focus is to update our Department’s Strategic Plan, a document that is an overall umbrella of our goals, objectives and mission statement, and to look forward to the needs of the department and the city; and review and update the Standards of Cover that ensures we are providing the best service and coverage for the city through established response time criteria. Chief Moore resides in the City of Riverside with his wife Robyne of 32 years and they have two adult children, Candace and Cameron. His hobbies are supporting local sports teams (Anaheim Angels and San Diego Chargers), camping, working out at the local gym (weights, running and racquetball), motorcycling, bicycling and restoring 60’s and 70’s muscle cars. Erin has over 10 years of professional library experience. She has a Bachelor of Arts in Politics from Occidental College and a Master of Library Information Science from San Jose State University. For the last ten months, Erin has done an incredible job serving as the Interim Library Director for the Riverside Public Library. Before being named Interim Library Director, Erin was the Assistant Library Director for Riverside Public Library since July 2016. Prior to working for Riverside Public Library, Erin worked for Santa Clarita Public Library, San Bernardino County Public Library and the University of California, Riverside Science Library (now Orbach Science Library). In Santa Clarita, Erin was most recently the Assistant Library Director and Branch Manager of the Old Town Newhall Library. As Interim Library Director for Riverside, Erin led the 2018 Riverside Reads campaign, the Toy Lending Library project and the CENIC upgrade projects for the Riverside Public Library. Erin is active in the California Library Association and was the Chair of Local Arrangements for the 2017 CLA Annual Conference hosted in Riverside. She has an entry on romance fiction in public libraries that will publish this month in the Encyclopedia of Romance Fiction and writes book reviews for United for Libraries, a division of the American Library Association. Adam Raymond is the Chief Financial Officer/Treasurer for the City of Riverside, overseeing a fiscal budget of more than billion and a staff of more than 60. He is a seasoned municipal government professional, having audited cities/countieworked in the City Manager’s Office of multiple Southern California cities, and worked in leadership roles in Innovation Technology and Finance Department at the City of Riverside. Since joining the City’s Finance Department in 2016, Adam played an integral role in the adoption of the City’s first two-year budget in the context of a five-year plan. He assisted with the development of a Business Tax Action plan, in conjunction with the Greater Riverside Chambers of Commerce, aimed at making the Business Tax Division operate more efficiently and become more customer friendly. He was also instrumental in coordinating the workplan and recommendations for the Five-Year Measure Z Spending Plan and leads the City’s 18-member Budget Engagement Commission. Most recently, he is leading the effort to streamline the City’s purchasing system and insource the Risk Management function. Adam has been with the City of Riverside for more than six years. Prior to joining the City’s Finance Department, Adam served as the Deputy Chief Innovation Officer for the City’s Innovation and Technology Department, where he led the development of departmental and citywide policies and an effort to focus on customer service. 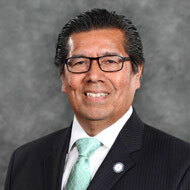 He has also served the City of Riverside in roles in Internal Audit and the City Manager’s Office. Adam earned a Bachelor’s degree in Accounting from the University of La Verne and a Master’s degree in Public Administration from California Baptist University. He is a proud Riverside resident, and is happiest spending time with his wife and two children. Kris Martinez has served the City of Riverside for 22 years – recently appointed as the City’s Public Works Director. In this new role, Kris oversees several key services that support the infrastructure of the City, such as street maintenance, urban forestry program,graffiti removal, solid waste services, wastewater services, animal control, city engineering, traffic engineering,construction management/inspection, public parking and others. Kris previously served as the City’s General Services Director for ten years. Under her leadership, the General Services Department contributed substantially to the success of the Riverside Renaissance – by building the Grier Pavilion, renovating City Hall and the award winning Riverside Convention Center, rehabilitating the Riverside Municipal Auditorium, as well as overseeing construction of the Fox Entertainment Plaza,the new downtown Fire Station and many other capital improvement projects. In addition to a successful capital projects division, she was also responsible for managing the Riverside Municipal Airport, publishing services, and all aspects of city facilities and fleet. Under her direction, the City has become a leader in green fleet and alternative fuels programming, winning multiple recognitions from national organizations -– notably, Top 50 Leading Fleets by Government Fleet Magazine (2015), #1 Government Green Fleet in the Nation (2012) and #10 – 100 Best Fleets in the Nation (2011). During Ms. Martinez’ career with the City of Riverside, she also held leadership positions with Parks and Recreation, the Fire Department, and the City Manager’s office. She holds a Master of Arts degree in Public Administration from California State University, San Bernardino and a Bachelor of Arts Degree, Administrative Studies from University of California, Riverside. Appointed by City Management June 2, 2014, Adolfo Cruz currently serves as the City of Riverside’s Parks, Recreation and Community Services Director, leading a department of 350+ employees. Selected for his 24 years of direct parks and recreation experience, ability to provide innovative recreational and social enrichment opportunities, and his vision to address the changing needs for people of all ages and cultures, Mr. Cruz administers first-class programs and services in a variety of safe and attractive parks, trails, landscapes and facilities. Adolfo’s executive team includes Deputy Directors Mario Lara and Robin Metz, Parks Superintendent Andrew Emery, Principal Park Planner Randy McDaniel, Senior Management Gabbi Garcia and Administrative Analyst Mayra Ocampo. Together the team manages a $20M department budget, 295.7 acres of developed land, 17 community and senior centers, and 7 city-wide pools. Adolfo brings a deep working knowledge of Parks and Recreation operations. Prior to joining the City of Riverside, Adolfo worked with the City of San Jose, Department of Parks and Recreation, as a Recreation Program Coordinator. He continued his career with the City of Stockton, Community Services and Recreation Division as Recreation Supervisor, Recreation Superintendent, and lastly, as Deputy Director, where he played a critical role in city and community development. Adolfo holds a Bachelor of Science in Business Management from the University of Phoenix. He is a member of National Parks and Recreation Association (NRPA) and California Parks and Recreation Society (CPRS). During his time with the City of Riverside, Adolfo plans to use his experiences and skills to lead an organization in delivering the highest quality of services to its’ community! 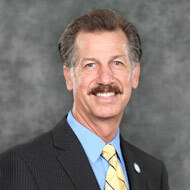 Carl Carey began his year career with the City of Riverside in 2005 with the Development Department. There he served as the Capital Improvements Manager for seven years and was involved in the planning and construction management of numerous Renaissance projects, including the state of the art Emergency Operations Center, the Urban Search and Rescue building, rehabilitation of the historic Arlington Library, Metropolitan Museum, and the historic Fox Theater. Carl transitioned to the General Services Department in 2012 to lead construction oversight of economic development and public use projects including the Fox Entertainment Plaza, Downtown Fire Station, Municipal Auditorium rehabilitation, and the award winning Convention Center expansion and rehabilitation. Carl served as Assistant General Services Director for one and a half years prior to his 2015 appointment to General Services Director. Carl oversees daily operations and administration of Building Services and Facility maintenance, Capital Projects, Fleet Services, Publishing Services, and the Riverside Municipal Airport. Prior to his public service, Carl worked for private construction and management firms. 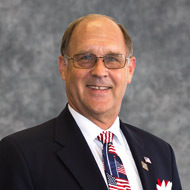 He also served on the City of Temecula Planning Commission for approximately nine years. Cheryl L. Johannes has been the City’s first Internal Audit Manager, joining Riverside in March 2005. Prior to 2005, Johannes served for over 23 years in several management positions within Finance, Product Marketing, Workforce Packard, co-leading several change management projects in order to increase product and service revenues, reduce costs Development and Corporate Internal Audit for Hewlett-Packard in Palo Alto, CA. Johannes traveled worldwide for Hewlett-and improve processes/procedures. In 2002 she joined mundy a start-up consulting firm, working with various high-tech and pharmaceutical companies on new product pricing strategies. Johannes graduated from Kansas State University with a B.S. in Business Administration/Accounting. Through sponsorship of Hewlett-Packard she attended several graduate courses at Stanford University. In her current position in Riverside, she is active with the Association of Local Government Auditors, and recognized with two Knighton awards for her comprehensive audit reports.